I had posted earlier about plans for a Symposium in Rome Nov. 4-8, 2019 in Rome to mark the 10th Anniversary of Anglicanorum coetibus. There is a strong likelihood Blessed John Henry Newman will be canonized next year—there has been a second miracle I hear—but we will not know for sure until June and, if it happens, it is likely he will be canonized in October 2019. October in Rome is a lot nicer than November, but the late notice in June would give little opportunity to plan anything large scale. The Ordinaries will be discussing an alternative plan, perhaps something like a pilgrimage in the spring of 2020 that would possibly include spots in England as well as a trip to Rome. This is the Altar of the Chair of St. Peter in St. Peter’s Basilica where we had hoped to celebrate one of three Divine Worship liturgies during that week. I apologize for posting on this earlier, then taking the post down, as some key people had not been notified yet of the decision, thus my posting here was precipitous. I do not know much yet, but I will keep you posted as I learn more. Posted on November 10, 2018 by Dr. Foster Lerner, D.O. AINT Hugh was actually born in Avalon, France, to a wealthy noble named William, Lord of Avalon, and his wife Anna. His English connections come later. He was the first canonized Carthusian. His feast day is November 17th. The Anglican liturgy in the Catholic Church is to be the subject of a new research focus of the Catholic Theological Faculty at the University of Vienna, it was announced this week. The academic project will be led by Professor Hans-Jürgen Feulner, a specialist in liturgy who has long had a great interest in the Anglican tradition. Prof. Feulner was a member of the Holy See’s Anglicanae Traditiones Commission that compiled the Divine Worship missal and has been further integrating the Anglican tradition into the liturgical life of the Catholic Church. While this prestigious and ancient university’s deepening focus on our Anglican liturgy is of interest to all Catholics of the Anglican tradition, such academic interest in our rite will prove of particular importance to our priests. In fact, multiple priests from the various ordinariates are just now beginning doctoral-level studies as part of this new program. It is only fitting that a new academic interest in the Anglican form of the Western Rite kicks off with a liturgical celebration in that rite, and so an Anglican Use Mass will be held this Sunday, November 11th, at 5:30pm in the Vienna Minoritenkirche. An Austrian Catholic media outlet has reported on the news (German-language), a simple online-translated English version of which can be read below. 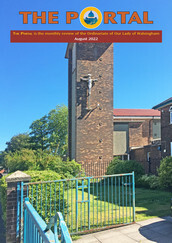 A new Anglican-tradition gradual in prayerbook English for Catholic use has been published. “The Saint Peter Gradual: The Chants of the Mass for Sundays, Solemnities, and Feasts” has been made specifically for Anglican ordinariate use but is helpful also for celebrations according to the Roman rite (OF). Published by Newman House Press, it was prepared by the Canadian ordinariate Dean, Fr Carl Reid, and is an adaptation of The English Gradual of Francis Burgess. Dean Reid’s gradual reproduces the essential psalm tones and chants of the Burgess in the same modern notation, and the texts of the propers are presented according to the arrangement as found in Divine Worship: The Missal. This is only the second gradual ever developed specifically for the Anglican patrimonial liturgy in the Catholic Church, and New Liturgical Movement has already reported on its publication. The first such resource was The Anglican Use Gradual, arranged by C. David Burt and published originally in 2004. That volume remains in use today, but with the changes implicated in the switch from the Book of Divine Worship (2003) to Divine Worship: The Missal (2015), an updated and revised edition has been prepared and awaits publication. A third new gradual for the Anglican Use is also rumoured to be in development by yet another editor. That third volume, and David Burt’s newly updated Anglican Use Gradual, would both be in traditional plainsong notation. One uses mostly Burgess-style psalm tones and the other the more melismatic Gregorian chants, both adapted to the DWM arrangement of the minor propers. All three of these new graduals will make it easier for ordinariate and other congregations to glorify God in accordance with the Anglican tradition. This gradual doesn’t identify its own Anglican tradition, but it clearly falls therein. Interestingly, “The English Gradual” on which it is based, being self-evidently Anglican, refers to itself as in relation to the “Western Rite” and as falling within the tradition of the “English Rite”, and its chants have been used in our Anglican Use congregations, both pastoral provision and ordinariate, for years. Of course, most of us will see the simpler fact: What is most patrimonial about this is that these are the same chants many have long used as Anglicans! They are our old Anglican propers and chants re-published for us to continue using as Catholics. This is a continuation of our Anglican tradition for which we can but give thanks, but only if we can first recognize it as such. Elsewhere, our Anglican patrimony is recognized obliquely as “the noble patrimony of English Christianity” that Anglicanorum Coetibus mandates us to treasure and share, or as “our Ordinariate patrimony”. Never, sadly, is “Anglican patrimony” explicitly identified or credited. 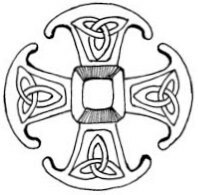 This is, of course, a strange hang-up that Anglicanorum Coetibus itself does not suffer from, as the whole Apostolic Constitution is centred on recognizing, preserving, cherishing, and sharing the good, true, beautiful and Catholic essence of the Anglican tradition, and as it explicitly permits us to establish seminary programs for our future priests to form them in the ‘Anglican’ patrimony (cf. Art. VI §5). It never once mentions anything “English”. Let us not shy away from speaking proudly of this very thing; let us give thanks precisely because this new Catholic volume is a significant preservation of our specifically Anglican patrimony. Posted on November 3, 2018 by Dr. Foster Lerner, D.O. T is commonly said there are three medieval theologians who stand above all the rest in contribution: St. Thomas Aquinas, St. Bonaventure, and this week’s Britannic feature, Blessed John Duns Scotus. Blessed John’s feast day is November 8th. John was born to a wealthy farming family in the town of Duns just North of the Scottish border with England. He was reported to be a beautiful child both in appearance and behavior, and he received a solid moral education from his parents. Today on All Saints’ Day, the imminent publication of the very first pew missal for the Anglican Use liturgy has been announced. To be published by Catholic Truth Society (CTS) in the UK, and entitled “The CTS Divine Worship Sunday Missal (People’s Edition)”, this latest version of the Divine Worship missal is meant to be used by laymen in the pews. Until now, no such missal meant specifically for lay use has been published in the almost four-decade history of the Anglican tradition in the Catholic Church. This pew edition will be distinct from “Divine Worship: The Missal” (in either its Altar or Study Editions) in that it will only contain the texts for Sundays and major Holy Days, omitting those for other weekdays. It will include the texts of the major propers from the RSV-2CE lectionary that otherwise are found in two separate volumes for use in the sanctuary. I suspect it will also omit the GIRM, which was included in the previous editions of the Divine Worship missal. You might even say this new book is for the prayers of us common folk in the pew. Might we consider it our new book of common prayer? In fact, in each of these respects, this new lay missal hews more closely to the model of the Book of Common Prayer. But it is not only akin to the BCP in its inclusion of Sundays and feast days, collects and readings, and so much more of our Anglican patrimony. It’s very nature is meant to bear the Catholic substance of the BCP, as the various books of Divine Worship have been compiled to encapsulate the Anglican tradition principally found in the BCP, and also in the Anglican and English Missals, and even material from our ancient Sarum rite. As is immediately obvious, our Anglican tradition has not only been preserved in its essence and in its integrity, but it has been completed, made whole, and rendered not only even more Catholic but also fully authoritative. In a sense, our Anglican tradition has been perfected and made fully Catholic. While there is yet more to be done, the books of Divine Worship have been an incredible gift to Anglican Catholics. In the Catholic Church and in the Anglican ordinariates, the Anglican tradition finds its fulfillment and its full Catholic expression. Anyone interested in more details about this new edition of our missal or how to acquire a copy, please see the CTS website.